Now that the cold season is in full swing, we’re looking forward to the dry days when we can head out to the local gritstone, revisit earlier projects and cycle through some classic benchmarks. When friction is this good, the humid, sweaty sessions of summertime don't quite compare. Cold conditions demand warm layers, and we’ve got a whole collection of climbing kit purposed specifically for that. Perhaps it’s the British in us. Sun, wind, rain, snow - Sheffield gets its fair share. In fact, it’s not uncommon to experience all four in a single day! We surrounded ourselves with corduroy swatches for over a year until we finally mastered the perfect climbing blend - warm, stretchy and durable. The men’s Abel Cord and women’s Carina Cord are brilliant pants for cold days on the rock. 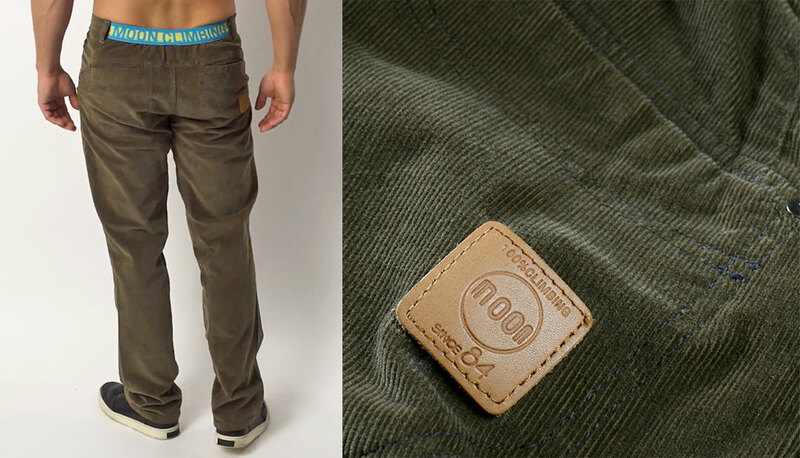 Their traditional button and fly closure is paired with a funky elastic waistband around the back, inspired by our popular Samurai Pant series. It was the final prototype of the Rainshadow Pant that Ben wore on his ascent of Rainshadow (9a) at Malham Cove in 2015. Surely that's proof enough that these pants won't hold you back. We wanted the Rainshadow Pant to sit in the middle ground between a legging and a tracksuit pant. They’re tailored with a slim fit from a stretchy jersey-like fabric with a cosy brushed fleece lining. It’s this warm lining that makes the Rainshadow Pant perfect for chilly climbing sessions, indoors and out. 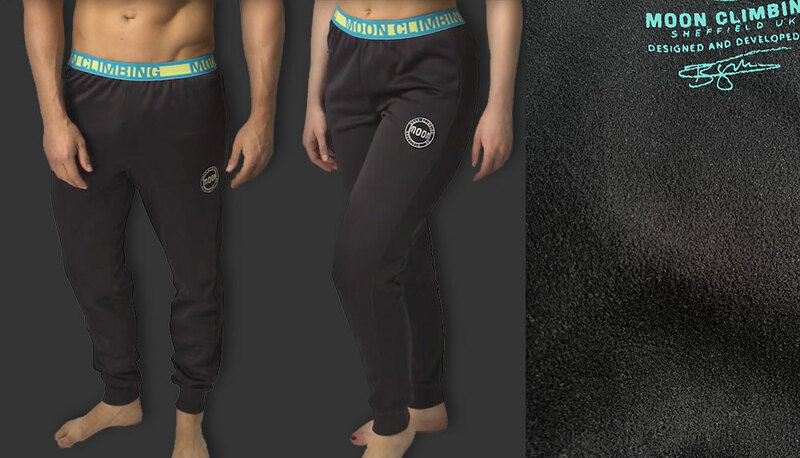 The Rainshadow Pant has also become a favourite amongst the female half of the Moon Climbing team. Just size down from your usual women’s size to find your Rainshadow Pant equivalent. The Striped Long Sleeve Tee has got us through the past two winters. It's made from a warm, stretchy and soft fabric that has been tailored to provide unrestricted movement as you climb. 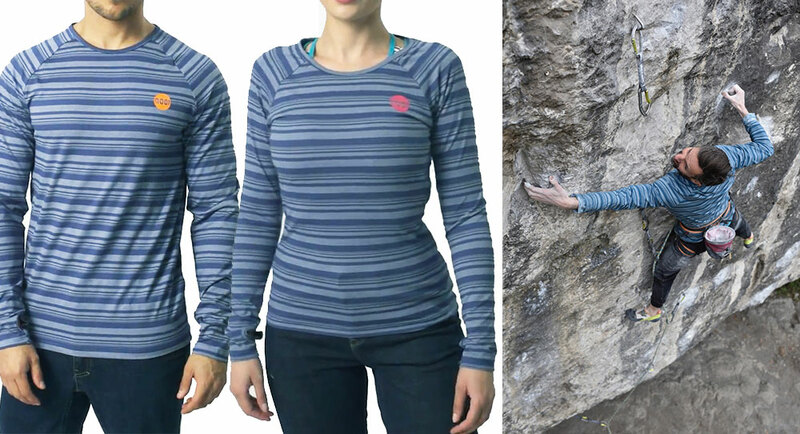 As a layering solution, the Striped Long Sleeve Tee is incredibly versatile. Wear it as a single layer or combined with other layers, as per your preference, the stretchy fabric will give you that "just right" fit. We designed this revolutionary jacket to be able to stand up to the harsh and unforgiving nature of rock. Made from the same hardwearing fabric as our famous Cypher Pant, the Meteor Jacket is a tough, wind-resistant insulated jacket that will keep you warm on the coldest climbing days. 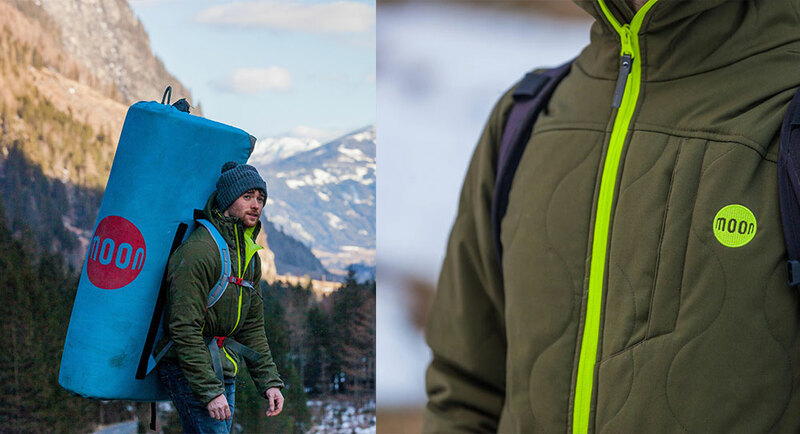 Stuffed with 160gsm synthetic insulation the Meteor will easily become your go-to jacket for the crag and beyond.